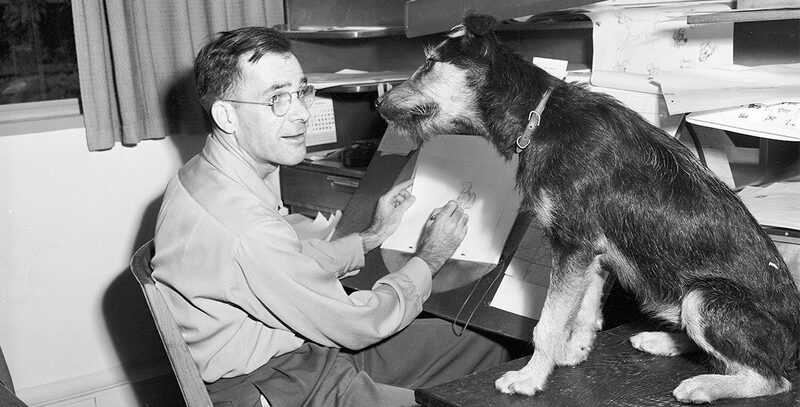 Thomas, Frank (1912-2004) Animator and author, one of Walt’s “Nine Old Men.” He joined Disney in 1934 as an assistant animator. He animated on such shorts as Mickey’s Circus and Little Hiawatha. He worked on Snow White and the Seven Dwarfs and went on to work on 18 more features, through The Fox and the Hound. Some of his most memorable sequences are Bambi and Thumper on the ice and Lady and Tramp eating spaghetti. He retired in 1978, but then embarked upon a writing career with his longtime friend and colleague, Ollie Johnston, turning out Disney Animation: The Illusion of Life (the ultimate treatise on Disney-style animation), Too Funny for Words, The Disney Villain, and Bambi: The Story and the Film. He was honored with the Disney Legends award in 1989. He and Ollie Johnston were profiled in the documentary Frank and Ollie, made by his son, Ted Thomas.